Hello everyone! 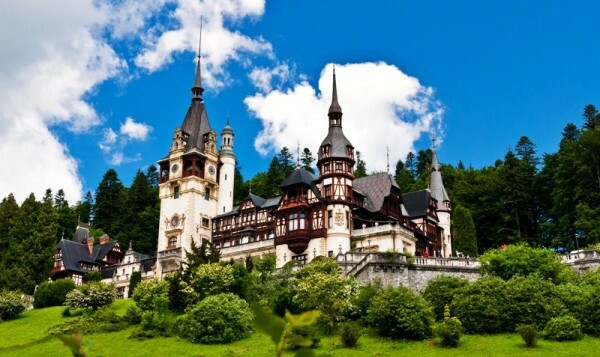 If you are planning to go on a trip in Europe, you should consider visiting Romania too. Here are some interesting destinations! 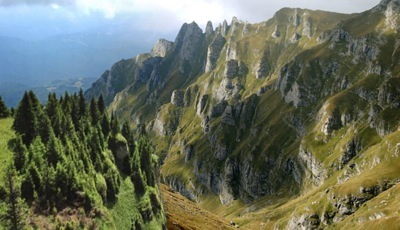 The Bucegi Mountains are part of the Carphatian Mountains and they are the tallest in Romania. The Omu Peak has 2,505 meters. The Bucegi is believed to be mountain Kogainon, a holy Dacian mountain where the God Zalmoxis lived in a cave. 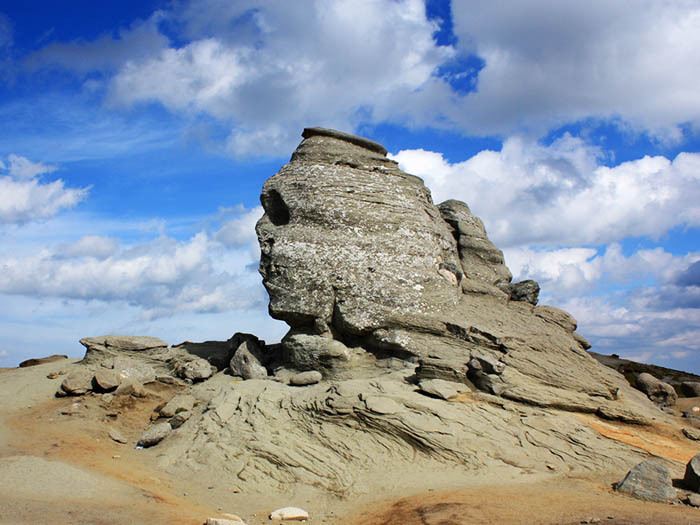 The Romanian Sphinx is one of the attractions you can see in The Bucegi Natural Park. It is a natural rock formation that resembles the Egyptian Sphinx. When looked at from a certain angle, the profile of a person can be seen. Babele (translated to “old women”) are rock formations that were shaped in time by wind and rain. They can also be found in the Bucegi National Park only a few meters away from The Sphinx. 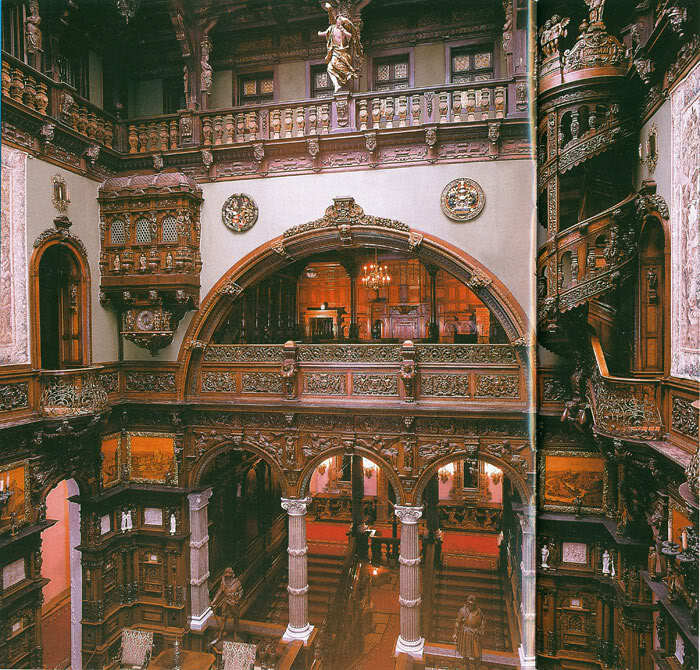 The Peles Castle is a very popular tourist destination. 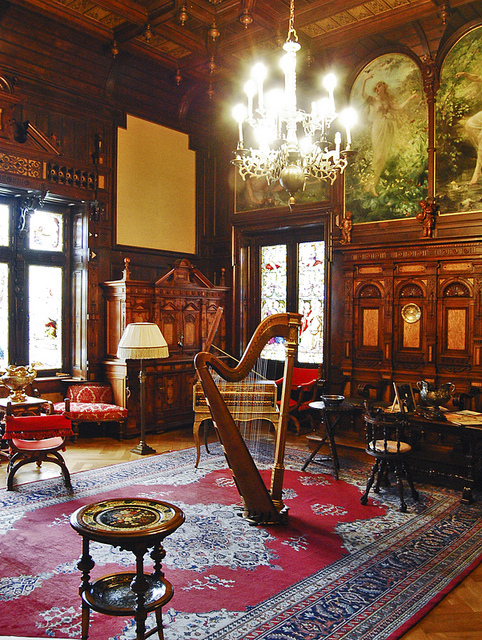 It is located in Sinaia and it was constructed by King Carol I in a Neo-Renaissance style. 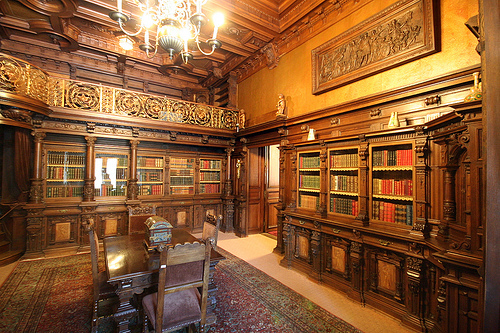 Tourists can visit the first and second floor of the Castle that include some of the most impressive rooms: The Regal Library, The Hall of Honour and the Music Room. The Bran Castle is located in the Transylvania Region of Romania and it was constructed in the 1300s. 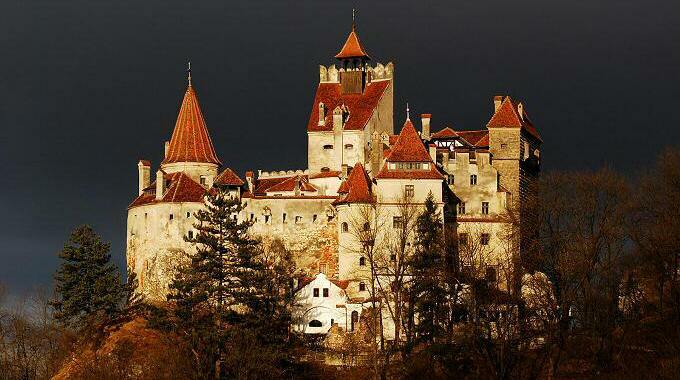 It is known as the castle of Dracula from the famous Gothic horror novel by Bram Stoker. The real-life Dracula that lived inside the castle is Vlad The Impaler. He was known for his cruelty, killing approximately 100,000 people during his life time. The name of ‘Impaler’ comes from his favourite killing method: impaling the victims using big vertical stakes attached to the ground. 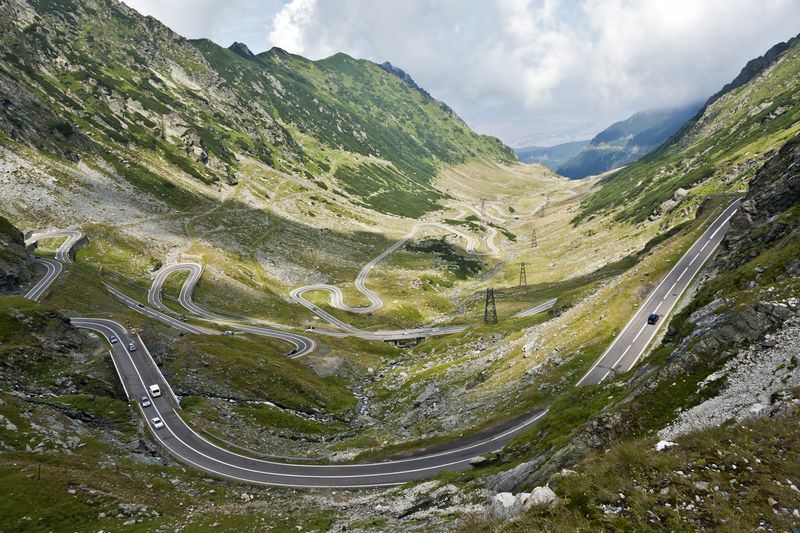 The Transfagarasan is a 90 km (60 miles) long mountain road in the Carpathian Mountains. Its sharp turns can be a challenge for drivers and the maximum speed limit is 40km/h (25miles/h). The highest point of the road (2,034 m altitude) passes by the Bâlea Lake where the first European ice hotel was built. The road is open from June until October. 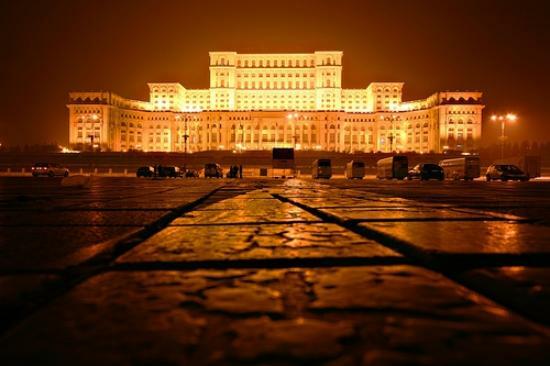 Bucharest is the capital and the cultural centre of Romania. The architecture of the city is a mix of neo-classical, interbellum and modern styles. Its beautiful buildings and elegant architecture earned it the name of Little Paris. The Palace of Parliament, located in central Bucharest, is the second largest administrative building in the world and it has over 1,100 rooms. The construction started in 1983 and it was finalised in 1997. The building cost is estimated at 3 billion Euro. I hope this post made you a bit more curious about Romania! It is never too early to start planning your next trip! IT’S CHRISTMAS!!!! My favourite and least favourite part of the year all in one. Whilst the decorations are fantastic and you get to spend time with family, it has also been a time for important exams for the past 7 years of my life. So what are my top tips for balancing Christmas celebrations and revision? It is called the Christmas holidays for a reason. Take some time to chill with friends and family. Admittedly, I have never done this before this year. Exam stress gets in the way of taking a break. This year however I am taking off two weeks off in the hope I get back to my studies refreshed. I have friends who stay until Christmas eve which is actually a great idea. You can use the books you need in the library and catch up on any reading you have outstanding. This means you don’t need to lug heavy textbooks on the train home. It also means you won’t need to study too hard over the break (see point 1). I write all my notes in colours, it makes them easier to read as the black on the white is quite harsh on your eyes. You can also make colourful revision cards. Add drawings to your notes and revision cards. You don’t need to be Picasso, they can be simple drawings that relate to what you are trying to remember. For example there is a contract law case that every law student in the country knows called Donohugh v Stevenson. It’s about a woman who got sick drinking ginger beer as it had a decapitated snail in it. Guess what I drew on that revision card? Ginger beer and a snail. Okay trust me with this one, you may think you need too much detail for mind maps but if a law student can fit enough detail on a mind map so can you. I do one per topic (sometimes two if it is really detailed) and add the case names from my revision cards. Then I keep re-drawing them adding the things I missed in red. After 5 or 6 goes I’ve remembered it. I also say everything relevant from the revision card out loud and check over it if I can’t remember. You can even buy whiteboard paper that sticks to your wall via static leaving no marks behind so your not wasting paper- it’s on amazon. By the time the Christmas holidays arrive, I often feel burnt-out from the Autumn Semester and can find it tempting to do nothing but binge-watch Netflix. You can do this for a few days over the break (especially if you’re feeling particularly fragile after all the festivities), but it’s also important to make sure you’re being productive. Here are some of my top tips for doing just that! If you’ve got deadlines in January then these should be your priority. I have a 4,000 word essay to write and a difficult exam to revise for but I’m going to try and get a lot of this work done before Christmas so that I can fully enjoy myself. You don’t want to be worrying too much about all the work you have to do when you should be relaxing and having fun! If you’ve got lots of reading to do for the Spring Semester then it might be worth trying to tackle some of this early. Or, if you’re in your final year, you might be looking to apply for grad jobs but just haven’t had the time at uni – so now is your opportunity! For other years, it might be good to think about your Summer plans – do you want to do an internship, go travelling, or work part-time? Start applying before everyone else! Don’t waste your break being in your room on your own (though, as discussed above, this is often tempting!). The Winter Vacation is a great time to properly meet up with family and friends that you probably won’t have spent quality time with in a while. Nothing helps to spur your productivity like exercise. If I go to the gym, I often feel more energised and able to tackle the various other things I need to do that day. You don’t necessarily have to go to the gym to do this – you could work out at home, or go for a run in your spare time. It’s so important to enjoy yourself and give your mind and body some well-deserved relaxation time. If you need to sleep a little longer than usual, go ahead! It’s Christmas!! !